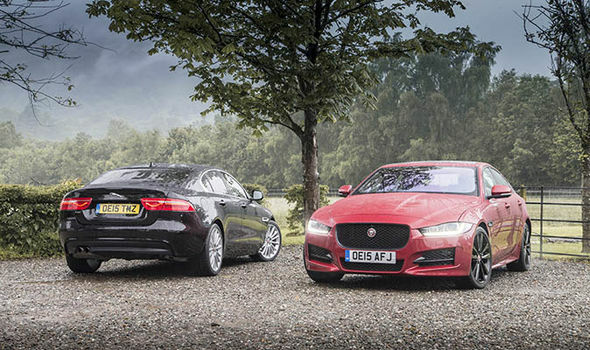 Home / Auto / Jaguar XE R-Sport REVIEW: Can it actually compete with the BMW 3 Series? 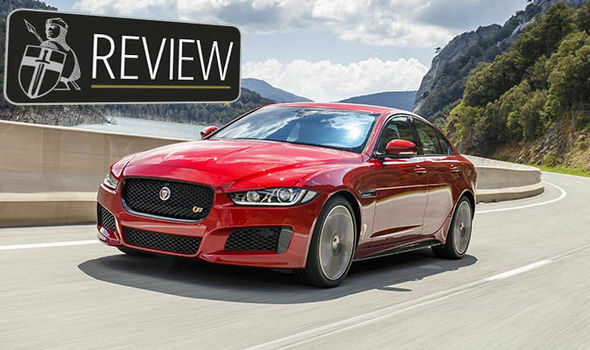 Jaguar XE R-Sport REVIEW: Can it actually compete with the BMW 3 Series? For the longest time the contest for executive saloon supremacy was an exclusive battle between German car makers BMW, Audi and Mercedes, with the 3 Series leading the pack. But now Jaguar has come along to disrupt the equilibrium with the lovely XE saloon. 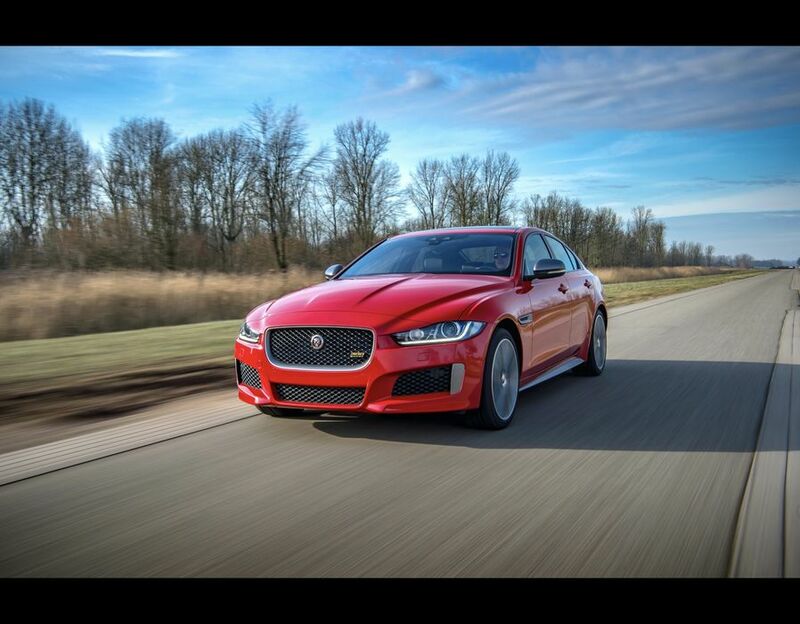 Express.co.uk took the car out for a full road test to see if it can live put pressure on its competition and here’s our full Jaguar XE R-Sport review. First and foremost the car is gorgeous. 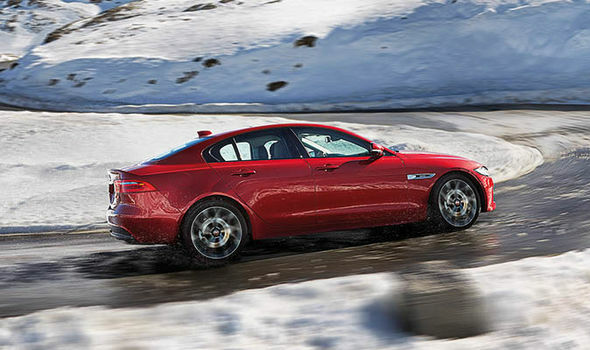 Its muscular and dominant styling is rooted in the XF and XJ, giving it a design more premium than its price tag. The R-Sport model we were driving has a few nice little touches to give it a sportier appearance, in particular the Firenze Red and 19-inch alloys with a Black Finish and dual gloss black exhaust. This is possibly the nicest combination you could get on this car and it will definitely turn heads as you cruise around town. However, its sportier proportions do lead to a few issues inside the car. The cabin is a little snug and visibility is not the best in its class. Another drawback of its shape is the rear seating, as people over six foot will struggle for room in the back. Despite this the driver’s seat and position is comfortable and solid and can be extensively adjusted – if you select the optional 14-way adjustable seats – to get the positioning just right. The car is dynamic but not unruly. Even when you’re at high speed or navigating through tricky turns, you don’t feel like you’re being thrown around, you feel assured and in control. It’s a car that gives you confidence to drive and is pretty effortless. Its engine is packed with power and roars away when you hit the accelerator, though occasionally there is a little lag before it truly kicks in. The car glides around the road thanks to its sharp and responsive steering and sport suspension. In addition to this the eight-speed automatic transmission is almost always in the right place and even if it isn’t one click of the gear paddles on the steering wheel can rectify any errors. Powering the XE R-Sport is a 2.0-litre twin turbocharged diesel engine which produces 240PS and 500Nm of torque which has a lot of bite to it. You can really notice the way it puts power on the ground between 40mph and 70mph and when sprinting off the line. Despite the car packing a significant punch, launching from 0-60mph in 5.8 seconds and on to a top speed of 155mph, it is also fairly economical. Over the 300 or so miles driven over the course of the three days, the car used just over half a tank of fuel. It also has an Eco mode and Auto Stop-Start function to improve fuel efficiency but it’s certainly not the thirstiest saloon on the market. Jaguar claims that the car will achieve a combined mpg of 54.4 miles and it produces 137 g/km of CO2 emissions. The noise from the diesel engine might not be the most romantic or appealing in the world but the way the car handles and drives massively outweighs this minor drawback. Inside the car the black leather seats, heated in both the front and back, remain comfortable on short trips and long drives alike. While the leather seats and minimal dashboard design is pleasing some of the trim feels quite cheap in places. Panels on the centre console and across area of the dashboard felt less than luxury but overall the interior is nicely designed and uncomplicated. The touchscreen infotainment system is responsive and the dual screen mode is handy so you don’t have to keep switching between maps and audio for example. This particular mode was equipped with the Meridian surround sound system which was great and well balanced and the sound could be adjusted inside the interior menu. There are times when the infotainment system can be frustrating though. One example of this, is the fact that you need an app to connect your phone to the car to exploit some of its features, such as maps. However, you can just plug in the USB and connect to Spotify via the touchscreen source, so all is not lost. 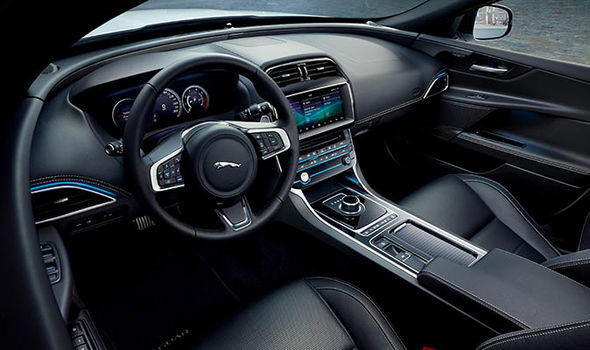 You have to commend Jaguar for the uncluttered interior and the placement of the USB in the centre cabin as it keeps trailing cables and distracting phones locked away for the duration. The touchscreen was fine, maps functionality works well although it can feel like there are too many screens to scroll through before you can actually get going. Side door storage is not great but it will fit some documents and a 500ml water bottle just fine but the boot is nice and big meaning you pack plenty for a weekend away. However, it is marginally smaller than its key rivals such as the BMW and Audi. We would highly recommend the optional head-up display (HUD) as it not only shows your speed but warning from assistance systems and also directions when used in conjunction with the navigation system. The air conditioning is temperamental and will either feel like a gentle breath or gale force wind and the placement of the vents are annoying for the driver as one blows directly on your hand. It was hard to ever really get an optimum balance. It comes equipped with a number of driver assistant and safety systems too including Cruise Control and Speed Limiter, Hill Launch Assist, Lane Departure Warning and Autonomous Emergency Braking, among others. The optional reverse camera and sensors are a must-have extra as they take all the stress out of parking. While this model was packed full of extras, bringing in the total cost to £40,125, you can buy the car from £31,505. Some people would argue that it is not one of Jaguar’s biggest cars when pitched alongside the F-Type and F-Pace, however, it is one of their most important to date. Jaguar has made a car to put the pressure on its German rivals and in a number of areas trump them. 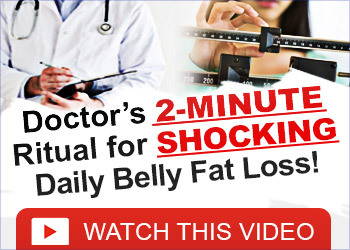 Another plus point is that it’s not as expensive as you’d think or as it looks. It’s not merely just a participant in the executive saloon class, but has all the potential to be a main player.